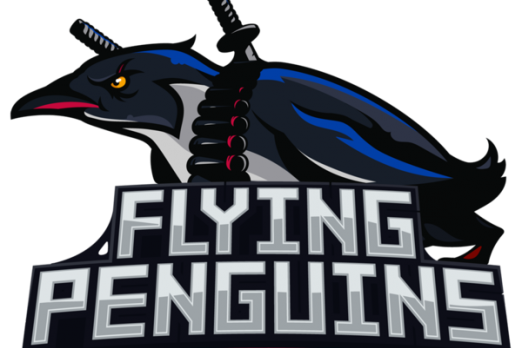 Dota 2 team Flying Penguins announced that the organization now has a complete roster. Jacky "EternaLEnVy" Mao and Eric "Ryoya" Dong welcomed three new team members in David “MoonMeander” Tan, Ilya “Lil” Ilyuk (from Natus Vincere), and Pittner “bOne7” Armand. On Tuesday, former team member Francis "FrancisLee" Lee tweeted that the team disbanded with members leaving on their own will. Flying Penguins was officially created by EternaLEnVy, with him serving as team captain. Joining EternaLEnVy in his newly founded team was Ravindu "Ritsu" Kodippili, Quinn "CC&C" Callahan, Rodrigo Lelis "Liposa" Santo, and Jingjun "Sneyking" Wu. The team's first official matches took place at the first North American Open Qualifier for the DreamLeague Season 11. While Flying Penguins had a good showing in the first matches, they would fall to compLexity Gaming. Flying Penguins tried again for the second qualifier, but here they would make roster changes with CC&C and Risua leaving the team. The duo was replaced by FrancisLee and Nico "Gunnar" Lopez. This would also mark a change for EternaLEnVy, as he would move from position 5 and go back to position 1 or carry. This time around, Flying Penguins was successful and the team qualified for the North America Qualifier for DreamLeague Season 11. However, they would be eliminated yet again by compLexity Gaming. The group fared a little better at ESL One Mumbai 2019. Here they would fall first against J.Storm in the Upper Bracket Finals before meeting the same team again in the Grand Finals. Flying Penguins failed to get one win in the Grand Finals, and lost. Their most recent tournament would be in the StarLadder ImbaTV Dota 2 Minor, which Flying Penguins joined by winning the North America Qualifier. Prior to this, they changed the team's roster again, with Gunnar leaving and Eric "Ryoya" Dong joining the team. In the tournament, the team had a strong showing in the Group Stage, but would lose the semifinals to Gambit Esports. The StarLadder ImbaTV Dota 2 Minor ended on March 10, and by March 14 Liposa would leave the team. Three days later it would be reported that Sneyking followed suit with another departure. The team was considered officially disbanded on March 19 with FrancisLee's departure. With the new members, Flying Penguins has become a contender again. Many are saying that their strongest opponent in the region is Evil Geniuses.